Herdsmen, on Monday night, set ablaze 150 acres of farm settlement at Lagun in Oyo State.This is coming two years after herdsmen invaded the same farm settlement, destroying N100 million worth of poultry, and maiming six attendants. Workers scampered for safety as the attackers unleashed terror on the farm. The owner, a former Secretary to Oyo State Government (SSG), Mr. Dele Adigun, addressed reporters yesterday. He said the “farmers may be forced to begin to take laws into their hands, if this stupidity and unguarded arson continues unabated”. Adigun said about 1,500 palm trees were destroyed. 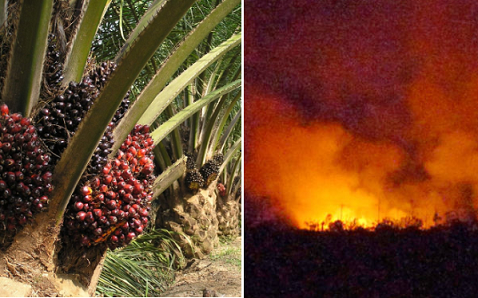 He added: “They (suspected herdsmen) set my farm ablaze and destroyed about 1,500 palm trees. You recall that six of my attendants were maimed and property destroyed two years ago, precisely in March, 2016. We reported to the police and nothing has been done till date. “In the 2016 attack, we lost about N100 million. We are yet to quantify this latest attack. That’s what we are contending with now. We have reported to the police and, till now, they are yet to make any arrest. I am disturbed; I am concerned because we are talking about diversification of the economy. But with these hoodlums, there is a problem as many people would not like to go and farm again. “It is as if law enforcement agencies are helpless to tackle this menace. What is the Department of State Services (DSS), the police and other security agencies doing that they cannot make arrests? They (suspected herdsmen) go to farm at night and set it ablaze so that when it rains, their cattle can be fed with the new grass.